Hello Sunshine! What if, you can get instantly fair and white skin? Wouldn't it be nice to get immediate results especially when you don't have much time to really prepare your skin for a big event -- or when you end up forgetting to prepare your skin for something special! Worry no more. Relax lang. With the new Vaseline Healthy White Instant Fair lotion, you get to enjoy instantly fairer skin in just one application! 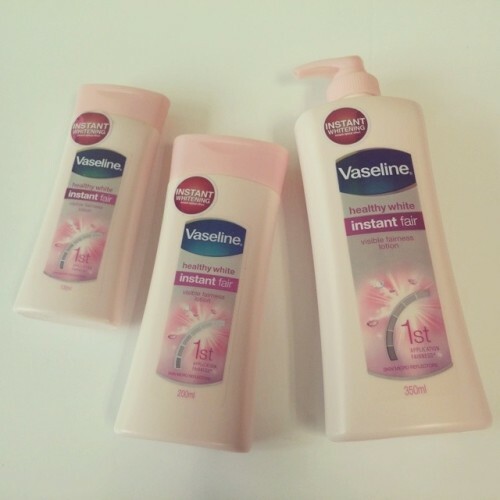 Vaseline Instant Fair Lotion is an instant whitening lotion that allows for fairer and even-toned skin immediately. The main ingredients to the success of this product are Microreflectors that allow for instant fairer skin. Vaseline Instant Fair Lotion also has the renowned Vitamin B3 that give long term and healthy whitening and has triple sunscreens for protection against the sun’s harmful UVA and UVB rays. Reflect light and get instantly whiter and fairer skin now! Head on over to SampleRoom.ph and get yourself some FREE samples of the new Vaseline Healthy White Instant Fair Lotion while stocks last!